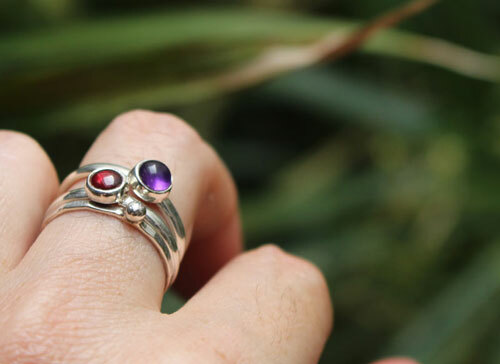 “Wind-flower bouquet” is a set of three sterling silver rings bezel set with cabochons. 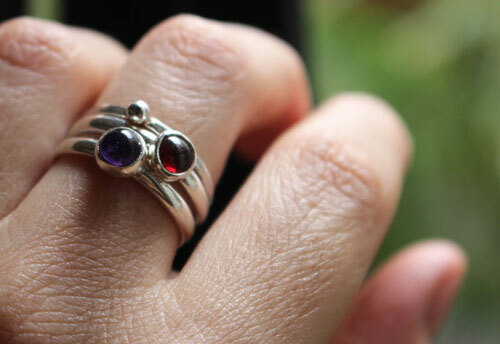 The first ring shows a deep red garnet. 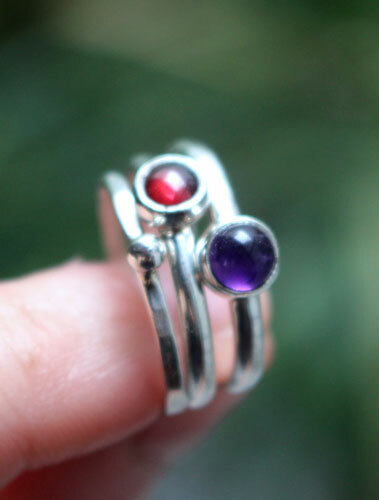 The second one is bezel set with purple amethyst cabochon. 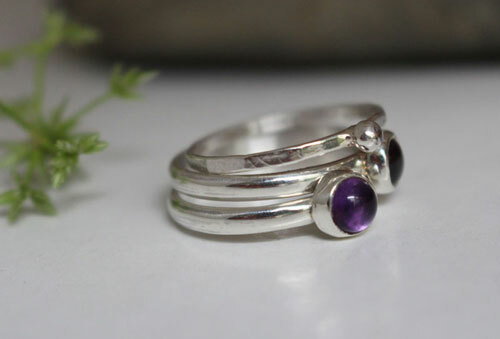 The third ring is a delicate hammered ring with a small ball of sterling silver soldered on the upper part of the ring. 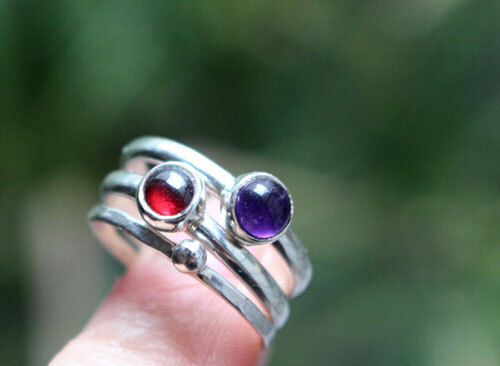 The stones of this set made me think of a wind-flower bouquet. 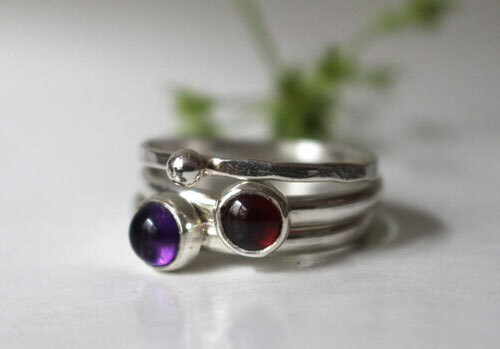 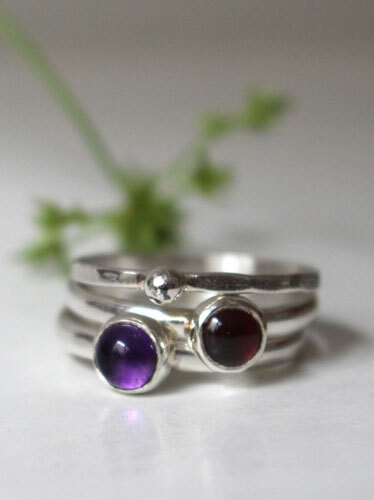 Tag: ring, sterling silver, unique, set rings, red, garnet, amethyst, purple, cabochon, cabochon, romantic, flora, plant, round, valentine gift, mother’s day, birthday, semiprecious stone, custom order, stackable rings.